Spring is here, which means that residents of Charlotte are changing their evening menus to complement the season. The following are 3 delectable dessert options we're sure you'll love! If you're planning a special-occasion meal, there are few better grand finales than an expertly prepared lemon mousse. Lemon is a perfect spring flavor that combines a tantalizing combination of sweet and sour. All you need to do is whip lemon juice, lemon extract, sugar and whipping cream together until the mixture forms stiff peaks. This can be prepared in advance and refrigerated until it's time to serve it, but keep in mind that this dessert doesn't keep well overnight. 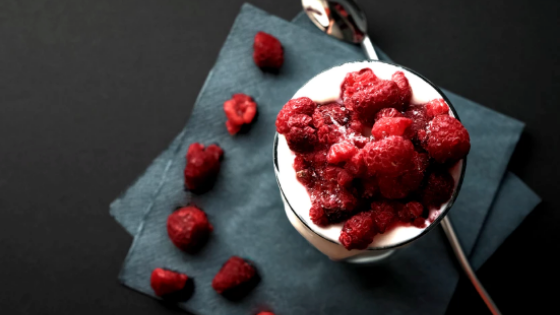 Lemon mousse is good when served plain, but if you want to take it up a notch, consider adding a drizzle of berry syrup and topping it off with a small amount of freshly whipped cream. Strawberry shortcake is a springtime classic that everyone should enjoy at least once during the season. It's easy and fun to make from simple ingredients that most people already have in their pantries. All that's needed is a visit to the nearest farmers market to purchase fresh strawberries. The shortbread is made from flour, sugar, eggs, baking powder, milk and salt. Try using flavored whipped cream for a creative twist on this classic dessert. This is a fun dessert that's particularly suited for gatherings involving groups of friends and family. You can also use berries such as blackberries, raspberries, and blueberries if strawberries aren't available or if you simply want something different. Rhubarb cheesecake is the ultimate go-to springtime dessert. It's perfect for serving after family dinners, intimate dinners for two and any other occasion that calls for something sweet that reflects the spirit of the season. Many different recipes are available for this luscious dessert, including a swirl cheesecake concocted with alternating swirls of rhubarb and dark chocolate. You can also make a simple rhubarb cheesecake using a standard New York cheesecake recipe and adding rhubarb to the mix. Give Addison Park a call today to discover why we were voted the best in resident satisfaction in 2018!